Learn of upcoming Y events and programs. Sign up for our eNewsletter. Race day events include numerous activities designed for all ages and skill levels. The primary race is a 5K Run/Walk. This is followed by a 1 mile Family Fun Run/Walk and a Tot Trot Obstacle Course. The Tot Trot is free for all children three to six years old. The race course begins and concludes near the Tri-Cities Family YMCA where the awards ceremony and additional activities will take place. Each year, 600 to 800 participants and their families will display your company’s logo as they wear their shirts both as a race participant and many times in the years that follow. Please email erica.phelps@tcfymca.org if you are interested in joining the Tri-Cities Family and Klever Innovations as we ‘kick off’ summer on May 25, 2019. Race day events include a 10K run, a 5K Run/Walk, a 1 mile Family Fun Run/Walk, and a free Tot Trot Obstacle Course. The race course begins and concludes near the Tri-Cities Family YMCA where the awards ceremony and additional activities will take place. As a sponsor, more than 2,000 participants will display your company’s logo as they wear their shirts both as a race participant and many times in the years that follow. We hope that you will join us for the 2019 Grand Haven Coast Guard Festival Run. Over thirty years ago, our organization started the YBL program with the principle that regardless of skill level youth sports can provide one of the best opportunities for our young people to learn how to work together toward a common goal. YBL teaches enduring values of hard work, determination, overcoming adversity and team work. Each player is taught that they have an important contribution to make and our YBL teams are most successful when the players are able to achieve their personal best. Over 9000 boys and girls from the Tri-Cities area have participated in our program since its inception. Over 400 kids participate in YBL basketball games each Saturday during the YBL season. Over 1000 family members and friends come out to watch their players participate each Saturday. YMCA member dues are not used to supplement programs or scholarships. Each year the Y sees more and more interest in the YBL program and we expect the growth rate to continue again this year. As our program grows, so does our need for sponsors. Your sponsorship will allow us to provide this quality sports program to our area’s youth and is a great advertisement for your business. YBL shirts are worn by Tri-City area children with excitement and pride throughout the entire year! 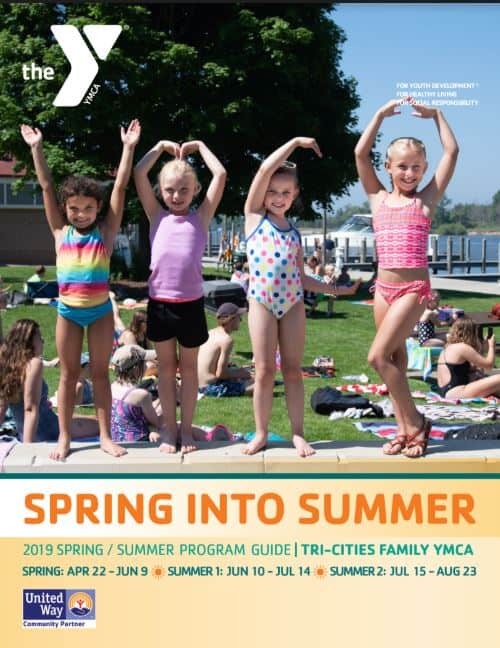 Copyright © 2019 Tri-Cities Family YMCA.